I visited two markets on Saturday morning – Kampung Baru market and Bukit Mertajam market. The former is relatively new, about 10 years old while the latter has a longer history, probably as old as the town itself. My visit was to meet with local traders, catch up with them on news as well as their problems related to the market facilities. Public markets in Penang are managed by the local government/city council. 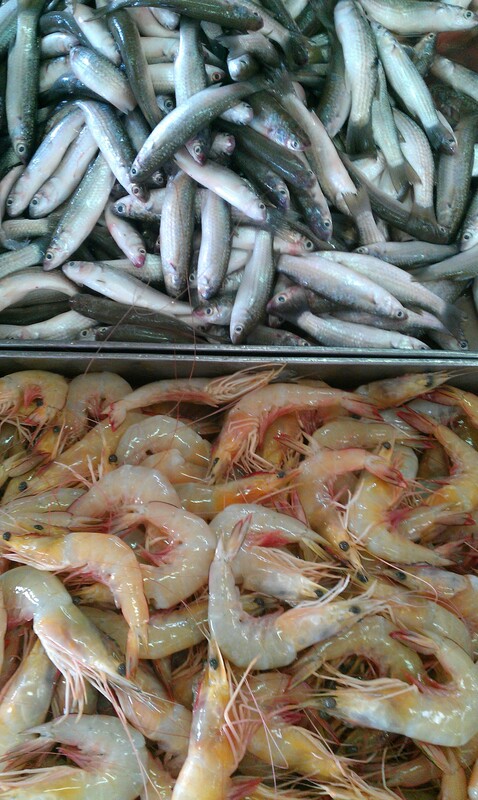 I also decided to snap some photos of the fresh catch at the seafood section; because recently a friend who migrated from the UK to Penang said one thing he liked about Penang and Malaysia is the ease of getting fresh ingredients from the market, and at a very much lower price.